I’ve never really gotten to browse through an antique store so I was very excited when my husband suggested we spend last Sunday afternoon doing just that. At the first store, my husband insisted on purchasing a gift for me and I chose the above tea set. It was in my favorite color and I liked the old-fashioned picture on the pot and pitcher. The best part of the purchase was that we got the tea set for only $8.50! 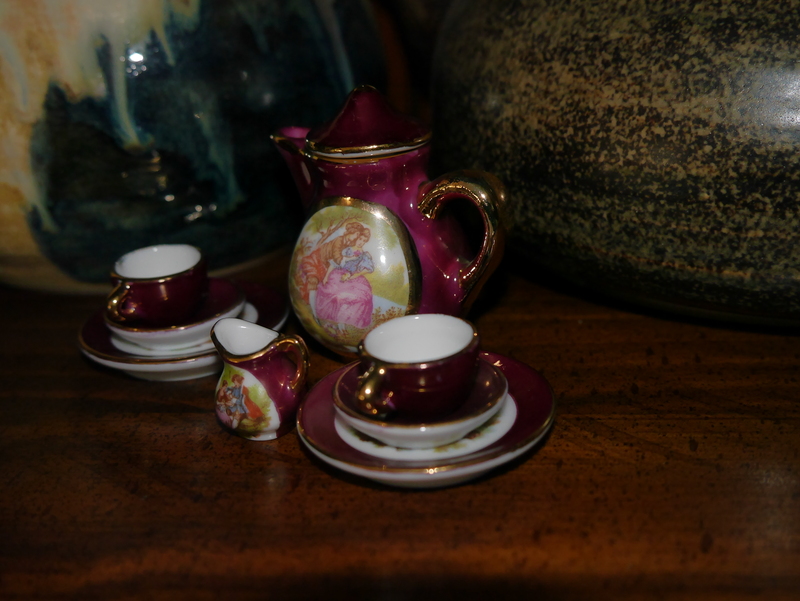 Oh, did I mention this was a miniature tea set and the entire set fit in the palm of my hand?